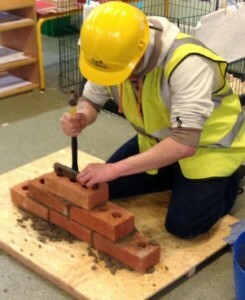 Ormiston South Parade Academy – The house of bricks! As part of Literacy, the Nursery children were exploring the story ‘The Three Little Pigs’. One of the parents very kindly gave up some of his time to demonstrate to children how the house made of bricks was actually made! Children could then see why the house of bricks was definitely the strongest house by far and it encouraged them to ask lots of questions to find out more. 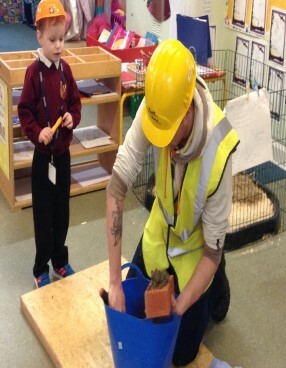 A big thank you, the children really enjoyed this experience.